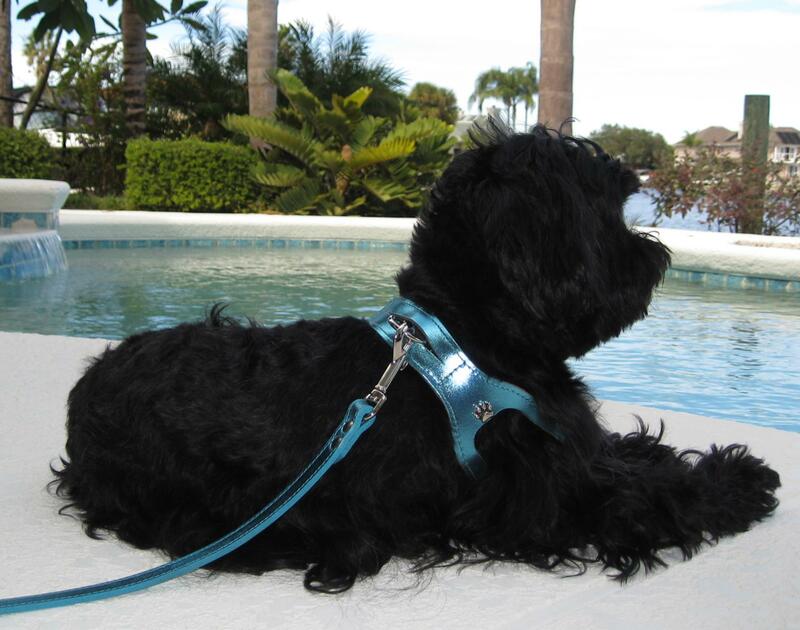 The Choke Free harness is the best harness for dogs under 15 lbs. Although the Choke Free Harness is not a training harness, it is made specifically for smaller breeds to prevent choking, coughing, gagging and takes the pressure off the neck. 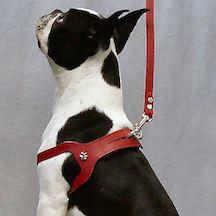 The Choke Free Harness is sold by the size of the girth. So it is VERY important to take a measurement of the girth. The base price of $20.00 is for the 8" harness. 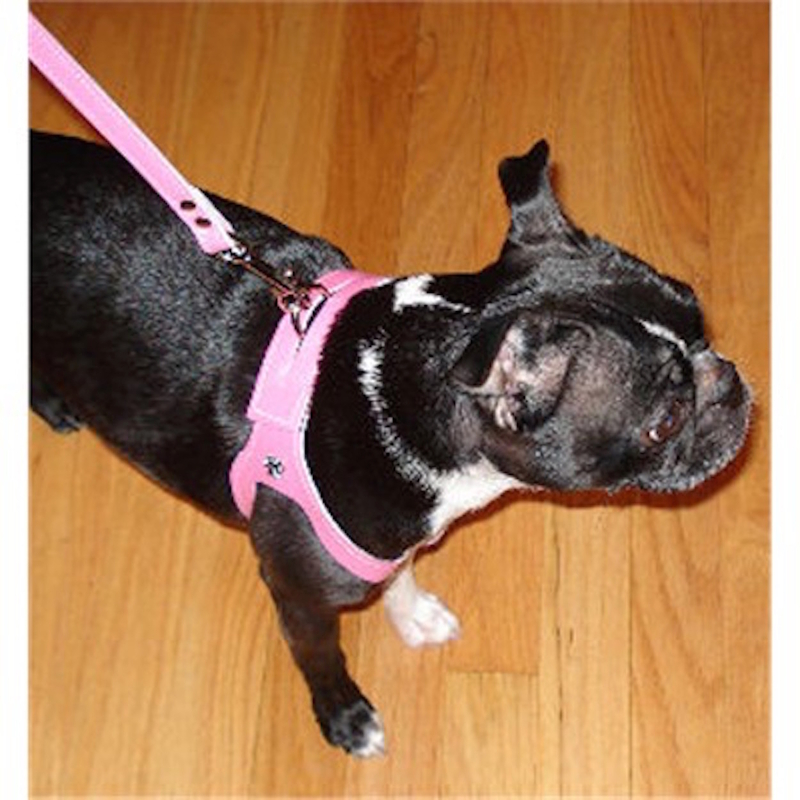 Each size over 8" adds $2.00 per inch to the cost of the harness. If you are not sure about how to measure or what size to get please call or email prior to ordering. A unique wrap around design that will not put pressure on the dog's trachea or spinal cord. Innovative velcro closure. The back closure overlaps so when the leash is attached to the d-ring the velcro cannot separate during use. Soft Leather that forms to the body after use. NOTE: The restraint should NOT be attached to anything around the dog's neck as this could cause injury or death. 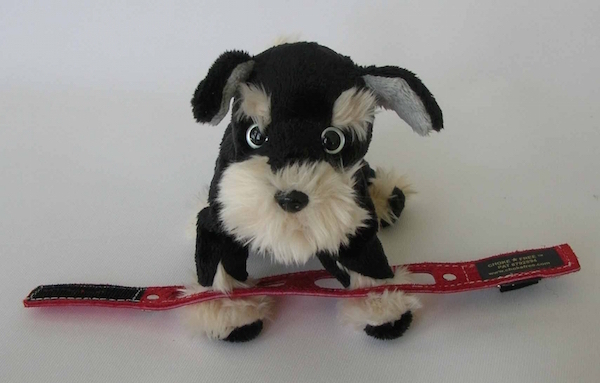 Please do not use this dog harness for tie-out or when pet is left unattended! 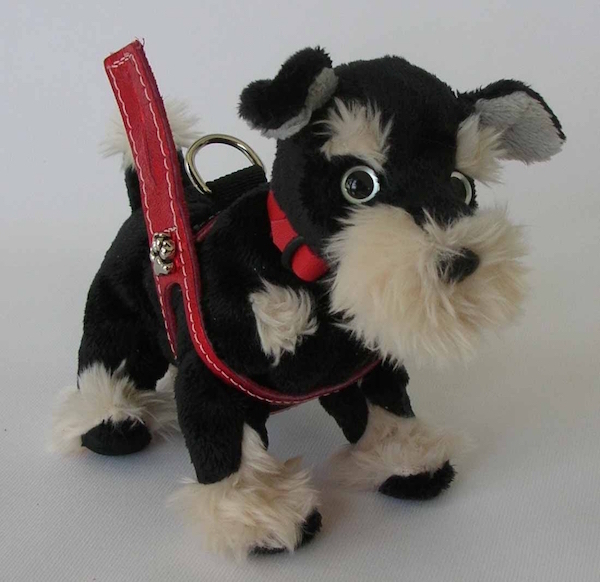 Because this harness is made of leather, please do not let your pet chew on it. 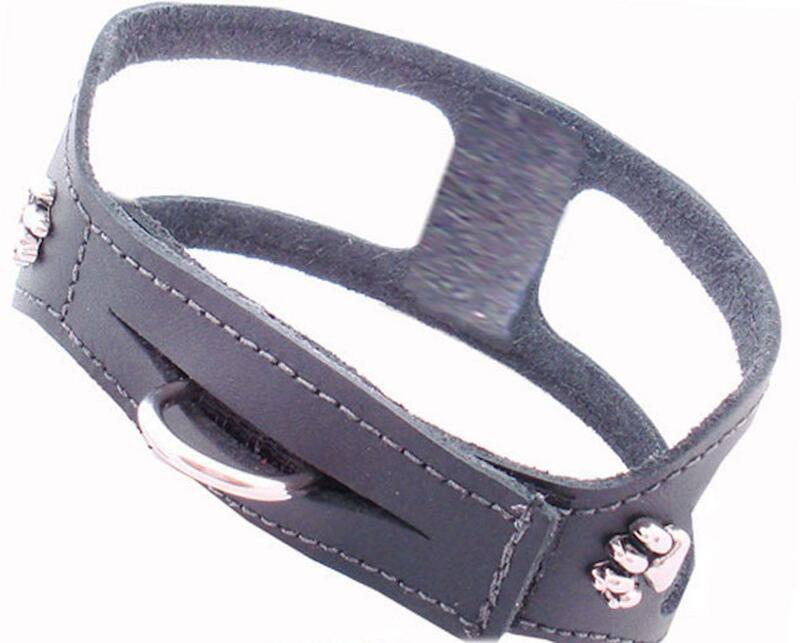 Chewing will cause damage to this leather step-in harness; we are not resposible for this. Why Use the Choke Free Harness? Vets recommend that small breed dogs wear harnesses instead of collars as collars can cause long term problems such as collapsed tracheas. Many times the smaller breed dogs experience a condition called collapsed trachea. Trachea is another name for the windpipe which is the tube that connects the mouth, nose, and throat to the lungs. Some dogs with a collapsed trachea will experience an occasional cough that sounds similar to a honking noise. Pets with a collapsed trachea can experience gagging and difficulty with breathing. Studies have shown that many pets that have been restrained on a neck collar have experienced an increased intraocular pressure. Glaucoma is a common condition in dogs. Dogs with glaucoma experience heightened pressure in the eye. A study was performed at the University of Minnesota College of Veterinary Medicine, and the study showed that when collar pressure was applied, there was an increase in the pressure in the dog's eye. It was noted that even the most brief increases of pressure in canines afflicted with any type of occular disease including glaucoma, can trigger damaging effects on the eye. Many pets can have trouble breathing when they pull against a restraint leash while wearing a conventional collar or harness and they can experience pressure against their airway causing choking, coughing, wheezing, & injury. 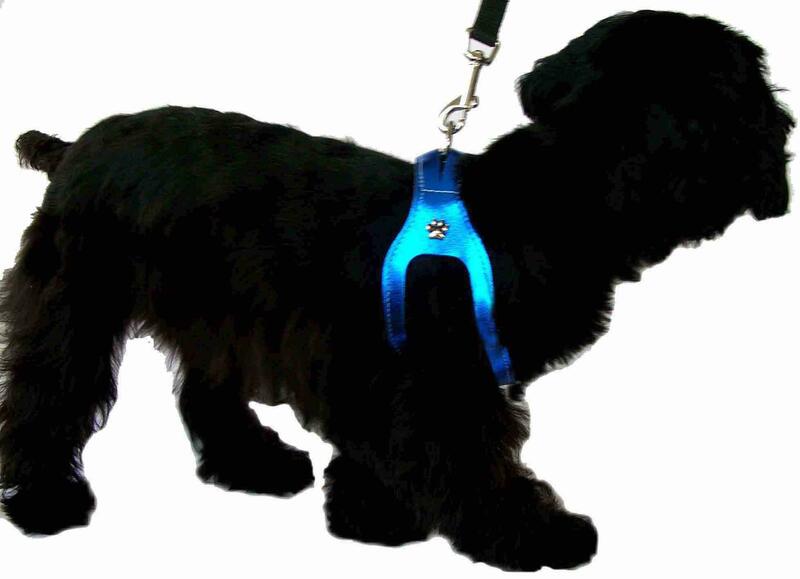 The Choke Free harness should be fitted such that it allows enough room to be comfortable without allowing so much room that the pet can back out or otherwise wriggle out of the shoulder collar. 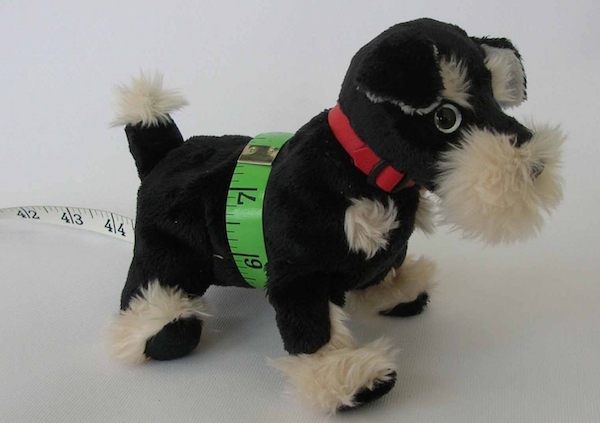 In order to size for the Choke Free place a measuring tape should around the pet’s chest/girth just behind the front legs . Take an EXACT measurement of the girth. An additional one inch should then be added to that exact measurement to allow for comfort. This is the size you will order. 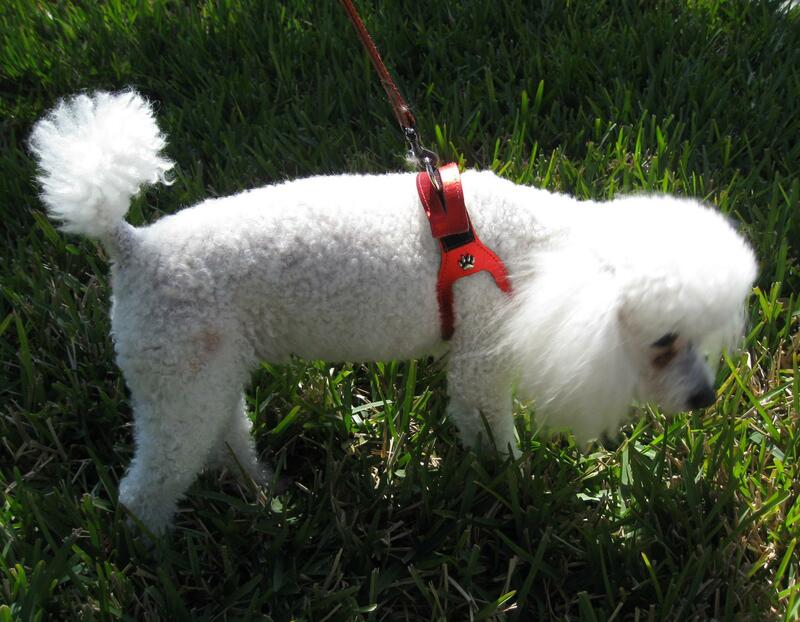 For Example: For a pet that measures exactly 14” a 15” Choke Free Harness should be ordered. 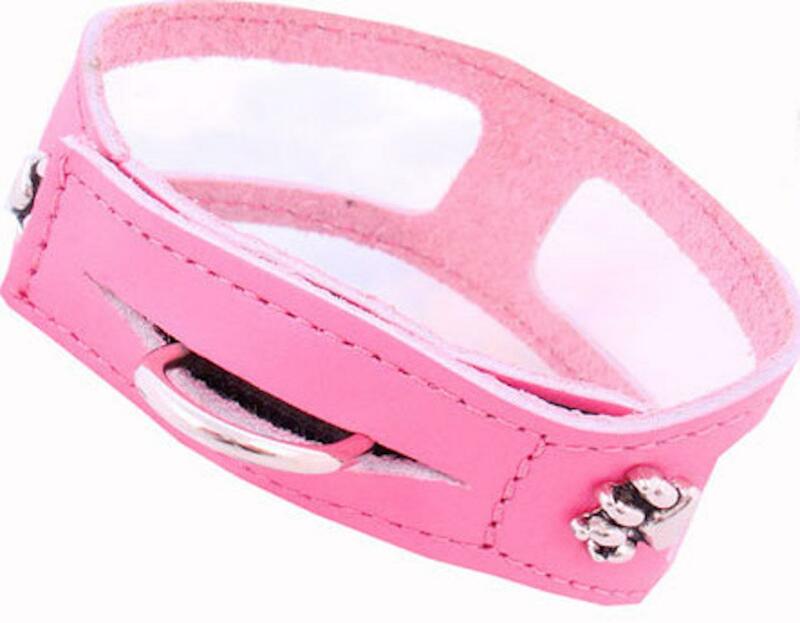 It should be noted that Choke Free is made out of leather and due to the natural characteristics of the leather, Choke Free Harness will soften and become more flexible and conform to the pet's shape. Once the Choke Free is placed on the pet, if the pet can tuck its head and back-out or if the pet owner can pull the Choke Free Harness over the pet's shoulders and head, the Choke Free Harness is too large and a smaller size should be selected. 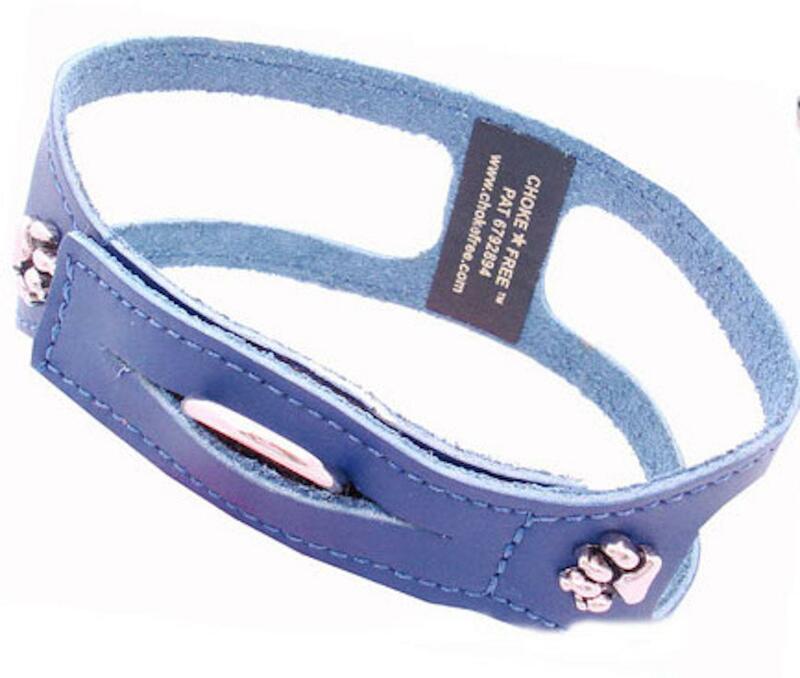 It is the pet owner's responsibility to insure that the pet is fitted with the proper size Choke Free. Please note that the Choke Free Harness is very simple to put on and take off and is NOT recommended to be worn all of the time. Even though there are those who never remove the Choke Free Harness from their pet, it is meant to be worn only when needed for restraint. Because this harness is made of leather, please do not let your pet chew on it. 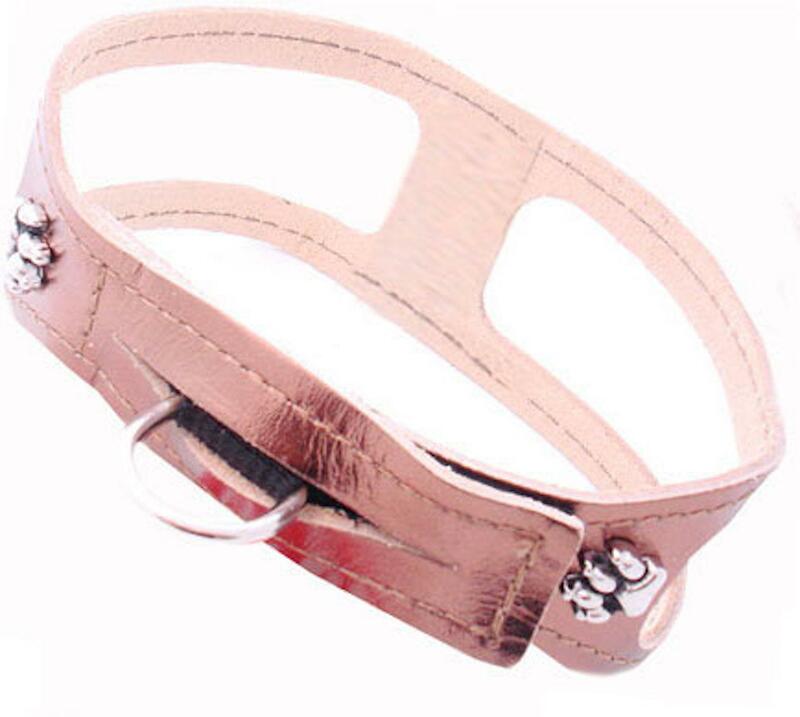 Chewing will cause damage to this leather step-in harness; we are not resposible for this.